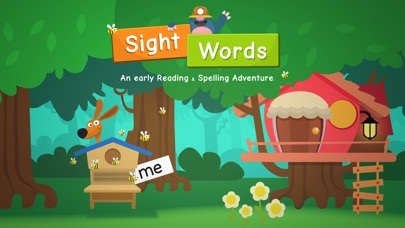 Welcome to Sight Words, a fun-filled adventure where children can learn to recognize, read, and write up to 320 sight words! 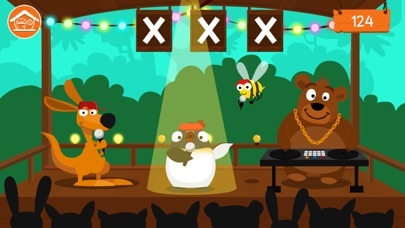 The beloved game of Hide-and-Seek is the central point of the app because it symbolically explores the cognitive skills necessary to remember sight words such as: visual attention, the morphology of the forest setting (i.e. the letters in a word), active listening, and of course visual memorization. Developed with the The English Common Core State Standards in mind, this app will ensure that children have increased exposure to high frequency words that appear in text. These interactions will enable them to acquire the words into their long term memory. Our list was chosen based on Dolch’s and Fry’s compilations which account for over 50% of words that appear in printed text. Recommended Ages 3-8 ***Parent's Choice Silver Award Winner Fall 2015*** ***By tapping into every kid's love of hide-and-seek, your child will practice the cognitive skills necessary to remember sight words. 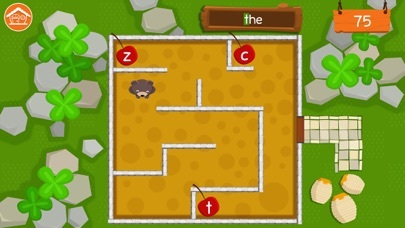 Parents.com*** FEATURES • 10 timeless mini-games • 320 sight words spread across 5 levels (PreK- Grade 3) • Algorithm that chooses words based on Hermann Ebbinghaus’ memory theories • Choose to play with UPPERCASE or lowercase letters • Personalized and customizable play to include specific sight words chosen by parents or teachers • Multi-user interface • Accessible to children with disabilities (VoiceOver compatible) • Universal app for iPad, iPhone and iPod Touch • Secure gaming environment: No ads, no external links, no in-app purchase, no social media access, no personal information request • Real time dashboard to track progress • Bright, colorful, and encouraging characters • Clear, concise instructions ABOUT US Edoki Academy’s mission is to provide children with enjoyable early-learning activities using the latest technologies. Our team members, many of whom are young parents or teachers, strive to produce tools that motivate and inspire children to learn, play, and progress. PRIVACY We take your child’s privacy very seriously, for this reason, we are proud to offer a product that is certified COPPA compliant by Privo. CONNECT WITH US! If you have any support requests, comments, or questions do not hesitate to contact us at support@edokiacademy.com or visit the Edoki Academy Online Community at edokiacademy.com. We’d love to hear from you! I would recommend this app for parents. It's been a really great tool for practicing vocabulary words! Speaking as a master level teacher ECE: Sight words are not developmentally appropriate for preschoolers which is any child under the age of 5. 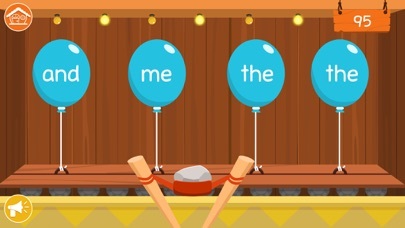 But this would be a great app for kids 5-7 to practice sight words as they are old enough to learn them. My kids love this game. They learn to write the words easily. Nice characters too. This app is a great teaching tool. 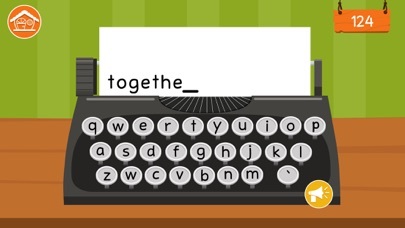 I use the typewriter with my students, very efficient for learning to write new words. Independence for my little reader! I like that my daughter can be independent while she plays this game. The instructions are super clear ans the games are familiar so she can easily navigate them while I work with another one of my kids, or make dinner. It keeps her very busy. I was very excited when I first got this app. I thought it'd be a great way for my students to practice their sight words. I was extremely disappointed to learn that this app is not used friendly at all. It's difficult to switch between players, my students can not do it independently. I have to log in every time they want to switch players. Their accounts do not sync across various devices either. All in all, this is a very disappointing app and I will be looking for something more user friendly. Simple and well-designed, just what I want for my 4-year-old daughter!